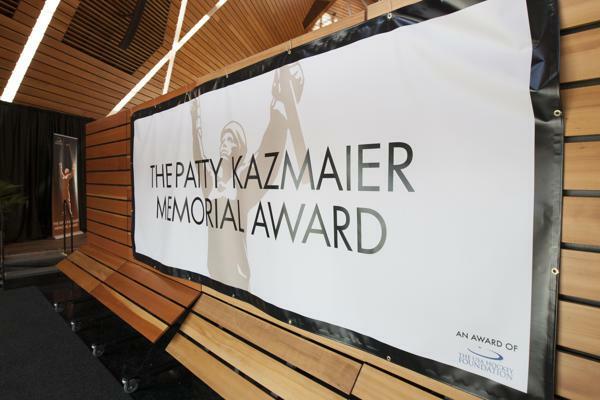 An award of The USA Hockey Foundation, the Patty Kazmaier Memorial Award is presented annually to the top player in NCAA Division I women’s ice hockey. The 2019 Patty Kazmaier Memorial Award winner will be announced on March 23 in conjunction with the NCAA Women's Frozen Four in Hamden, Conn.
Maureen Murphy’s time with the U.S. Women’s National Team program has helped in her second season at Providence. Murphy has taken full advantage throughout the first half of her sophomore season at Providence and is in the discussion for the prestigious Patty Kazmaier Award, presented annually to the top women’s college hockey player in the nation. Murphy, a native of Buffalo, New York, appreciates the award because she feels it puts women’s hockey in the spotlight. It also shows how far the sport has come since the award’s inception in 1998. “Just by continuing to present it and give something for girls and women to look up to, it helps grow the game and that’s ultimately the reason a lot of my teammates and I all play,” Murphy said. Murphy ranks second in the nation with 20 goals through 24 games, including a NCAA-best seven game-winners, and also ranks among the top-10 in scoring with 34 points. Murphy has at least two points in 12 of 24 games this season. Murphy was named Player of the Month by Hockey East and WHCA in November. Competing with the U.S. Women’s National Team has helped, too. 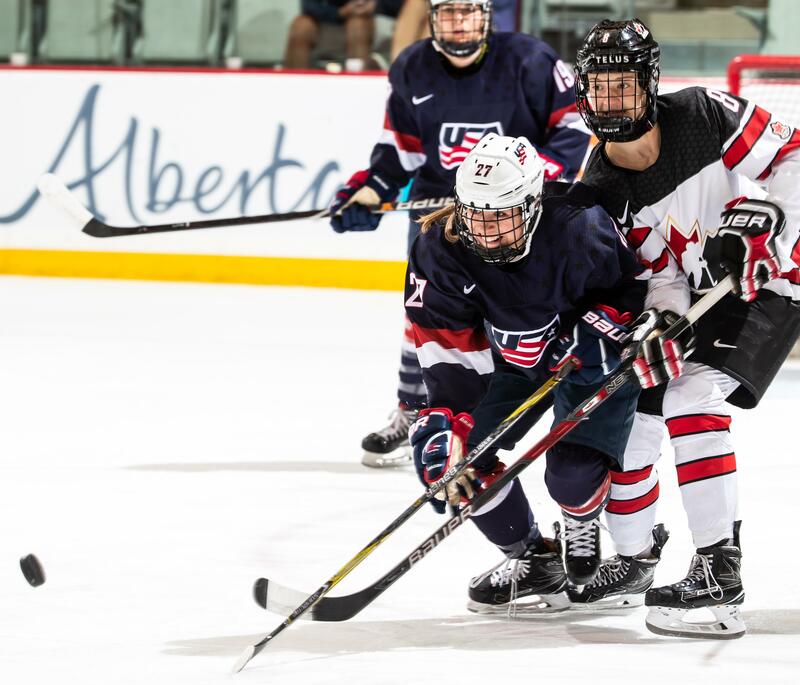 In September, Murphy participated in practices and scrimmages with the top players in the country during the U.S. Women’s National Team Evaluation Camp. The group included 17 players who captured gold at the 2018 Olympic Winter Games in PyeongChang, South Korea. Murphy, a former standout at the Minnesota prep powerhouse Shattuck-St. Mary’s, was one of 44 players invited to participate in December’s USA Hockey Winter Training Camp. In August, she also competed for the U.S. Under-22 Women’s Select Team during a three-game series against Canada, scoring two goals in three games. Maureen Murphy battles for a loose puck during the 2018 Under-22 Series against Canada. In 2017, Murphy was also a member of the U.S. Under-18 Women’s National Team, which won a gold medal during the International Ice Hockey Federation (IIHF) Under-18 Women’s World Championship in the Czech Republic. “Just being there and being with everyone, it was something I’ll always be grateful for." Story from Red Line Editorial, Inc. Photo courtesy of DSPics.com.